« Nous sommes face à un Everest de folie meurtrière », a résumé le procureur de la République, Brice Robin, lundi 4 avril, au lendemain de deux règlements de comptes qui ont coûté la vie à quatre hommes à Marseille en quarante-huit heures. Ainsi commence l'article de Luc Leroux dans Le Monde, alors que Français et autres Européens ainsi que démocrates US s'accordent sur le fait que l'Amérique des armes et de la violence devrait prendre l'Europe paisible et lucide en exemple. Marseille connaît un regain de violence, avec onze tués depuis le début de l’année lors de règlements de comptes, sur fond de guerre des clans pour contrôler le trafic de drogue dans les quartiers nord. Samedi 2 avril, vers 22 heures, trois hommes ont tiré à l’arme automatique à l’extérieur puis à l’intérieur de l’épicerie située au centre de la cité Bassens (15e arrondissement), l’une des plus déshéritées de la ville et longtemps l’un des plus juteux points de vente de drogue marseillais – au détail mais aussi en gros et demi-gros pour alimenter les autres cités. Lilliputian Foreign Aid Percentages Coupled with Gargantuan Military Budget Amounts: What, If Anything, Is Hiding Behind Two Allegedly Damning Statistics About Uncle Sam? 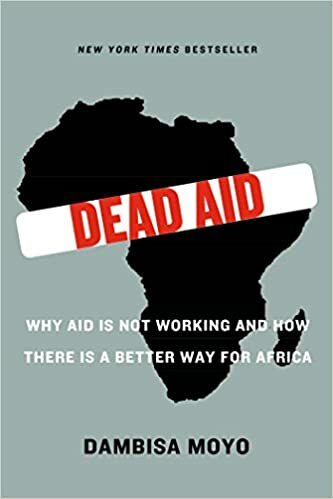 You have probably heard and read — not once but many times — that America’s aid to the developing countries of the Third World is nothing short of disgraceful, as it amounts to nothing but a much smaller percentage of that of many other Western nations. For example, in 2013, the official development assistance by country as a percentage of Gross National Income was at about 1% or above for Sweden, Norway, and Luxembourg, with the United States arriving a dismal 20th, at "only" 0.17%. But wait! There is a second statistic, one that is just as, if not more, damaging: you have also probably heard or read that the amount of money that America uses on its military is far larger than that that other nations use, and indeed, you have probably heard broadsides to the effect that America's defense budget is larger than that of the next 20-25 or so nations combined. Paired, this pair of statistics, this couple of “facts”, seems to give nothing but a damning image of Uncle Sam. Both of these “facts”, incidentally, are mentioned in the famous rant that is often called "The Most Honest Three Minutes In Television History". (In the opening scene of The Newsroom's Episode 1, Aaron Sorkin has his Will McAvoy character (Jeff Daniels) spit out: "we spend more than the next twenty-six countries combined, twenty-five of whom are allies … We [used to wage] wars on poverty, not poor people"). most European nations, namely France, Germany, and the U.K. are purposefully downsizing their militaries in favor of relying on the U.S. to come defend them in case of an incident. Even more to the point, half the reason the U.S.'s military budget is so expensive, besides the technology that is literally decades past the competition, is because we take care of our soldiers. A Chinese soldier is paid one-ninth that of a U.S. soldier, and even then, the Chinese soldier gets drastically smaller healthcare or Veteran benefits. If the U.S.'s big military budget comes from futuristic technology, taking care of our soldiers, and single-handedly protecting the western world, I think it's worth the bill. Which, indeed, is what the usual popular outrage discussed in this post is all about. most of the defense budget is not spent on weapons, it is spent on items like military pay and benefits, training, maintenance and the like. The amount of money set aside for developing and procuring military equipment in the budget agreement Congress reached [in May 2017] is $197 billion — a third of the $593 billion defense budget, and barely 1% of GDP (which stands at $19 trillion). … how much of a problem can the "military-industrial complex" be when it only represents 1% of the economy? Healthcare is 17%, but nobody refers the "healthcare-industrial complex." … As I often point out, the amount of money the Army gets for weapons each year is a fraction of what Americans spend on beer or cigarettes. We notice that one “fact” is a percentage figure. And we notice that the other “fact” is an amount figure. More precisely, one puts America (and other countries) in a list according to a percentage of GNP. While the other puts America (and other countries) in a list according to absolute dollar terms. Does this signify anything? At all? It signifies a great deal. Both ways of making comparisons are valid and, in an ideal world — in a world where the reader, the student, the citizen, is given all necessary data — all figures, all facts, and all relevant statistics would be supplied — would be set forward for him to make up his own mind. How about if we provided all necessary data on these two subjects? Wouldn't that be something? In the meantime, how would you like to try a fun experiment? We have two "facts" about America, right, based upon two different types of calculating statistics. How about if, in each category (foreign aid and military budgets), we tried reversing the way the positions of countries are calculated? 1) What Happens If We Calculate Uncle Sam's Foreign Aid According to the Process Used to Compute Uncle Sam's Military Budget? Shall we try the foreign aid list first? Let us see what happens when we calculate foreign aid in absolute terms and what position the countries end up in then. While America’s development assistance as a percentage its GNP is indeed smaller than that of other aid nations, the net amount that it donates in absolute terms turns out to be — by far — the largest! At $31 billion, it is close to double that of the next country in the list (the UK, at $18 billion) and until recently (Germany has inched up over the past couple of years), more than double than every other country on the list, including all the Scandinavian countries combined (indeed, with the smaller Northern European countries mentioned above dropping to four to five times less than the USA each). As it turns out, for those among you who love the "combined" comparisons, the U.S. gives as much as Sweden, the Netherlands, Canada, Norway, Italy, Switzerland, and Australia combined. Now, you may well reply : Yes, you may agree …somewhat, but still, think about the following: if Washington were to raise its percentage to the same level as, say, Japan and and the Europeans, wouldn't the amount of aid be that much larger? Alright, let us keep this in mind, we will get back to it (in the third part of this post), but first we must address the second “fact” discussed above. For the moment, notice that many people who reacted as mentioned above have not been willing to even entertain the thought that the Washington critics were even slightly wrong, not to say misleading. Indeed, those critics do not advertise the “amount” aspect of the aid matter, for one simple reason: it does not go far in nourishing their (self-serving) message, which is that Americans, or their leaders, are inherently greedy, simple-minded, self-centered, short-sighted, etc. • and of course top donor at the United Nations itself. 2) What Happens If We Calculate Uncle Sam's Military Budget According to the Process Used to Compute Uncle Sam's Foreign Aid? What do we notice with the military budget “fact” mentioned above? Yes, this description of a problem with America turns out to be exactly the opposite of what was criticized in the foreign aid field. If we calculate military budgets as a percentage of GDP, we find that the figures change drastically. We find that the USA falls to fourth place (3.5%) in one report, below Israel (5.2%) and Russia (4.5%). First place? That belongs to Saudi Arabia with almost three times as large a percentage (10.4%) as America. By capita, Riyadh also spends as much as three times the amount as the next country (as mentioned, not the United States) on the list. The U.S. spends barely 3% of gross domestic product on defense—about 16% of the federal budget—down from 4.7% in 2010 and a modern high of 6% in 1986. If we calculate military expenditures as a percent of GDP, the U.S. drops even further, falling to 9th place in one study and to 11th place in another, below eight or nine countries in or close to the Middle East (including Israel) as well as Russia. And if we try calculating the dollar figure per GDP, we find that the figures change drastically. The U.S. drops down, not to second place, not to fourth place, not to 10th or 15th or 20th place, but almost all the way down to 30th place (it's actually position 29)! This is according to the Global Militarization Index (GMI), which compares a nation's military expenditure with its gross domestic product (GDP) and which is roughly comparable to… the foreign aid statistic so widely bandied to scold America for. In some earlier studies, America has appeared at or near the 50th mark (#47, to be exact)! Does that leave those Western nations off the hook, however? Hardly, given the very fact that many of them are cosseted by Washington’s providing for their defense, which — who knows? — may go some way towards explaining why they can afford having both their amounts and their percentages be so low — all the while basking in the self-serving statistics of a Newsroom monologue. As for the developing countries, an inordinate amount of money is spent by Third World leaders on the army, on security forces, and on police battalions, forces that amount to their leader's (to their leaders') personal bodyguard and forces which are then often turned loose… on the countries’ own population. 3) How Do We Tie Points 1 and 2 Together and Which Fundamental Factors Are Being Overlooked? Now we're getting to the gist of things. Because what you are saying now is: Hold on for a second: Back in section 1, you said that we would tie this second “fact” in with the first “fact” mentioned above. How so? Well, it so happens that this — any number of countries run by an autocrat using the country's military as his personal bodyguard — is the… type of country that… many of Washington’s critics would have America provide… a larger percentage (or a larger amount, whichever) of aid to! Of course, the critics will say, rubbish, they in no way want to provide aid to régimes that are oppressive and murdering their own people. I think it would be quite easy to come up with a number of examples disputing their claims. (Leftists' support for and their aid to Saddam Hussein's Iraq — including peace-for-oil — comes to mind, for I don’t know which reason.) But if it is true that a number of these countries are not having their personal bodyguard forces machine-gun their unarmed civilian populations (or otherwise disposing of internal enemies, imaginary or other), they are using quite an amount of moolah to buy luxury vehicles for their government ministers, and putting their friends in high places, and engaging in other types of corruption. Corruption, inefficiency (except in repression), wasted money: this is a seemingly integral part of a number of the countries that would supposedly benefit from increased American (and Western) aid. Have you ever heard the old joke told inside the NGO community: How can you predict when a famine is about to threaten an African nation? Give up? It's when the country's president needs a new Mercedes. 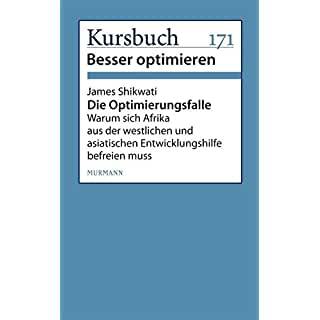 Enter Kenyan economist James Shikwati. If [Westerners] really want to fight poverty, they should completely halt development aid and give Africa the opportunity to ensure its own survival. Currently, Africa is like a child that immediately cries for its babysitter when something goes wrong. Africa should stand on its own two feet. have been damaging our continent for the past 40 years. If the industrial nations really want to help the Africans, they should finally terminate this awful aid. The countries that have collected the most development aid are also the ones that are in the worst shape. Despite the billions that have poured in to Africa, the continent remains poor. 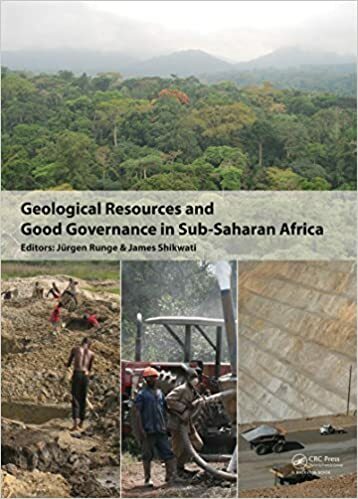 … Huge bureaucracies are financed [with the aid money], corruption and complacency are promoted, Africans are taught to be beggars and not to be independent. In addition, development aid weakens the local markets everywhere and dampens the spirit of entrepreneurship that we so desperately need. As absurd as it may sound: Development aid is one of the reasons for Africa's problems. If the West were to cancel these payments, normal Africans wouldn't even notice. Only the functionaries would be hard hit. Which is why they maintain that the world would stop turning without this development aid. … Africa is always only portrayed as a continent of suffering, but most figures are vastly exaggerated. In the industrial nations, there's a sense that Africa would go under without development aid. But believe me, Africa existed before you Europeans came along. And we didn't do all that poorly either. … There must be a change in mentality. We have to stop perceiving ourselves as beggars. These days, Africans only perceive themselves as victims. On the other hand, no one can really picture an African as a businessman. In order to change the current situation, it would be helpful if the aid organizations were to pull out. Case in point. Tanzania was supposed to be Sweden’s showcase in the aid “industry.” A couple of decades ago, it was said that there was as much chance of seeing a blond head behind the wheel of a vehicle in Dar es Salaam as a black one. Now, I have a question for you: How often do you hear the government in Stockholm bragging about the wonderful advances it has made in Tanzania? Not often, do you? As a matter of fact — and I write this perhaps primarily for those who love to dish out statistics — the per capita income in that Western African country has decreased since Sweden’s millions of kronor started flowing in. So: must we do nothing, ask Washington’s critics? I will try to answer that in the a later post. For now, just notice that the question doesn’t, as before, even start to cast doubt, be it a single iota thereof or otherwise, on the claims, implied or otherwise, that foreign aid is working, that aid in general is undoubtedly a proof of generosity, that Uncle Sam's military budget is a monstrosity, that Washington is greedy and evil, and that Americans are devious and mean. In fact, isn't the (pressing) question meant to change the subject as quickly as possible? Change it back to the old we-are-still-the-most-compassionate-most-intelligent-most-humane-people-to-ever-tread-the-face-of-Earth mantra? What is the reason that all of us are not more familiar with the net amount figures in the matter of foreign aid? Because it would be much harder for the critics to depict America capitalists as greedy, clueless, heartless clods. And what is the reason that we are not more familiar with the percentage figures on the question of military budgets? Because it would be much harder for the critics to demonize Americans as bellicose imperialist warmongers. By the same token, it would be much harder for America's critics — U.S. leftists and Europeans foremost amongst them — to laud themselves as the most compassionate people in the world, as the most intelligent people in the world, as the most tolerant people in the world, and as the most humane beings in history ever to walk the face of the Earth. after an undercover video released last week showed Alan Schulkin, Manhattan’s Commissioner of the Board of Elections, admitting in no uncertain terms that the problem exists. Schulkin, a Democrat, was not aware that he was speaking to an operative of the public integrity outfit Project Veritas. Unfortunately, Shulkin is just another public figure who says one thing in public and something entirely different in private. The problem of voter fraud is real. Anyone who tells you otherwise is either trying to perpetuate it or extremely naïve. None of this should come as a surprise to anyone who’s the least bit cognizant of the culture of corruption that pervades many American cities. All that is required for voter fraud to flourish is a corrupt political machine willing to scam the honor system that operates our vulnerable elections. And yet vote fraudsters are protected by a code of silence nearly as sacred as the mafia’s omertà. Even Alan Schulkin won’t talk about it unless he thinks no one will hear. As an election official he’s overseen numerous elections and had the opportunity to witness the shenanigans firsthand, yet he won’t do anything about it. That tells me that he’s under extreme pressure to keep mum. Is that so? The definition of “proof” can sometimes be elusive, but I would argue that when a major election official, speaking off the record and with nothing to gain, says that voters are being bused around from precinct to precinct, that’s at least a form of evidence, if not proof. At very least, it merits further investigation, which is exactly what De Blasio doesn’t want. But in fact Mayor De Blasio is wrong; there has been a major voter fraud operation uncovered in New York City in my lifetime, which means that voter fraud is not some kind of “urban legend” similar to alligators in the sewers. In 1984, a grand jury delivered the results of its investigation, asserting that it had found evidence of systematic election fraud in large parts of Brooklyn taking place from 1968 until it was stopped in 1982. The fraudsters apparently used a smorgasbord of methods to tilt the elections their way—absentee ballot fraud, voting in the name of dead people or people who were known to have moved away, the impersonation of legitimate voters, and the wholesale invention of fictitious voters. Yes, they also bused people around. According to the book “Who’s Counting?” by Hans von Spakovsky and John Fund, “One of the witnesses before the New York grand jury described how he led a crew of eight individuals from polling place to polling place to vote. Each member of his crew voted in excess of 20 times, and there were approximately 20 other such crews operating during that election.” By doing a little back of the envelope arithmetic, I can estimate that these electoral wrecking crews probably cast about 3,600 fake ballots, give or take a few hundred. The New York grand jury said it all when it concluded: ”The ease and boldness with which these fraudulent schemes were carried out shows the vulnerability of our entire electoral process to unscrupulous and fraudulent misrepresentation.” Yes, indeed. I can already hear the objections: “But that was more than thirty years ago!”—the implication being that election fraud in the past doesn’t prove election fraud in the present. True, 1984 was a long time ago, though not nearly as long ago as 1964, and we still have federal election monitors in the South to ensure that racist white officials don’t disenfranchise blacks. It seems that people’s idea of what constitutes a “long time ago” varies in inverse proportion to how much they want root out the problem. The argument that the 1984 Brooklyn fraud case is old news misses the point, namely that fraudsters even then had both the capability and the intention to scam the system. All those who think voter fraud is an “urban legend” will have to explain how the problem magically solved itself while those same capabilities and intentions survived. New York is no less corrupt today than it was in the 1960s, 1970s, and 1980s. Here’s what really changed between then and now—in those days, there was an actual sense of outrage that elections were being stolen. Now anyone who talks about the problem runs the risk of being smeared as a racist. In 1984, public officials were able to see voter fraud because their eyes were open to it, to say nothing of their minds. Today the attitude is nothing less than willful ignorance. No prosecutor in his right mind would go to trial with that case because, as the adage goes, you can’t beat city hall. Even people who are charged with guarding the integrity of our elections, people like Alan Schulkin, have given up trying to stop it. It’s a third rail of politics—talk about voter fraud and you get zapped. Alan Schulkin himself is now backtracking from his claims, though only because he’s tasted some of the mayor’s wrath and presumably that of the city’s “civil rights” establishment—in other words, the race hustlers. Schulkin now claims that he should have said “potential” voter fraud, but that’s clearly not what he meant when he spoke unwittingly to Project Veritas. When he said that “they bus people around to vote” in black, Hispanic, and Chinese neighborhoods, he wasn’t speaking hypothetically. If he were, that would actually be racist. If we assume that Schulkin was talking about potential voter fraud, not the real McCoy, a prudent person would be right to ask how he knows that it would happen in black, Hispanic, and Chinese neighborhoods. But the answer is moot because he’s lying when he backtracked on his comments. He got caught being honest and had to make up a lie to wiggle out from under the implications of his earlier statement. If he had known he was being recorded he would have denied the existence of the problem just like the rest of the New York City political establishment. Truer words have never been spoken. It’s hard to make a political establishment that has risen to power via voter fraud care about the issue because they just don’t see it as a problem. Acting in the face of a specific clause in the Reich-Vatican concordate which guarantees the existence of Catholic schools in Germany, the Nazi government, it was disclosed today [Jan. 26], is preparing a law under which attendance at non-denominational state schools would be compulsory for all German children. The law was considered at a special Cabinet meeting here today under the chairmanship of Chancellor Hitler, and it may be issued in connection with the celebration Saturday of the fourth anniversary of the Third Reich, although on this point there is no certainty. In pastoral letters read Sunday in Catholic churches throughout the Reich German bishops charged that the existing policy of the government in gradually diminishing the number of Church schools was an outright violation of the concordate and appealed to the faithful to resist these “illegal encroachments” of the state. There is a word in German for the Nazi persecution of the Catholic Church: it is Kirchenkampf ("church struggle").